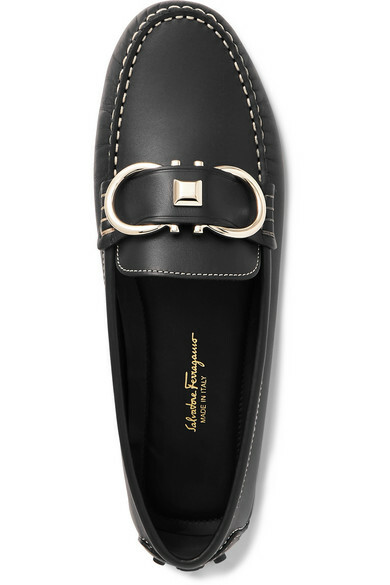 Salvatore Ferragamo's 'Breno' loafers have been handmade in Italy from butter-soft black leather that will only look better with age. 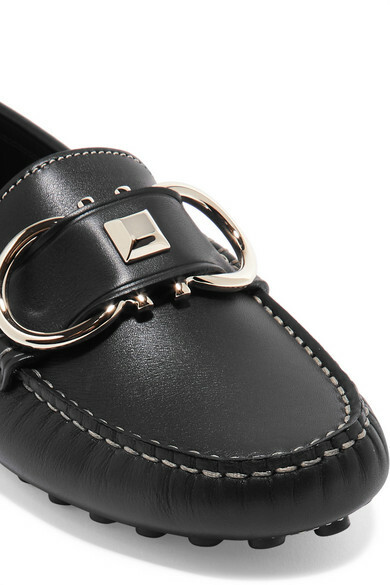 They're detailed with polished gold hardware and have contrast stitching to match. The rubber pebbled soles make them the perfect choice for exploring new cities - the founder personally loved Florence's many museums. 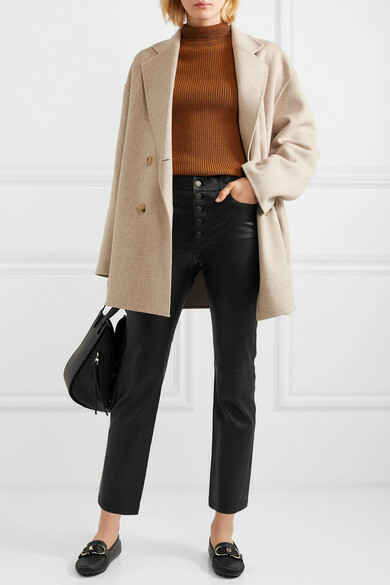 Shown here with: Joseph Pants, Victoria Beckham Sweater, Acne Studios Coat, Loewe Shoulder bag.